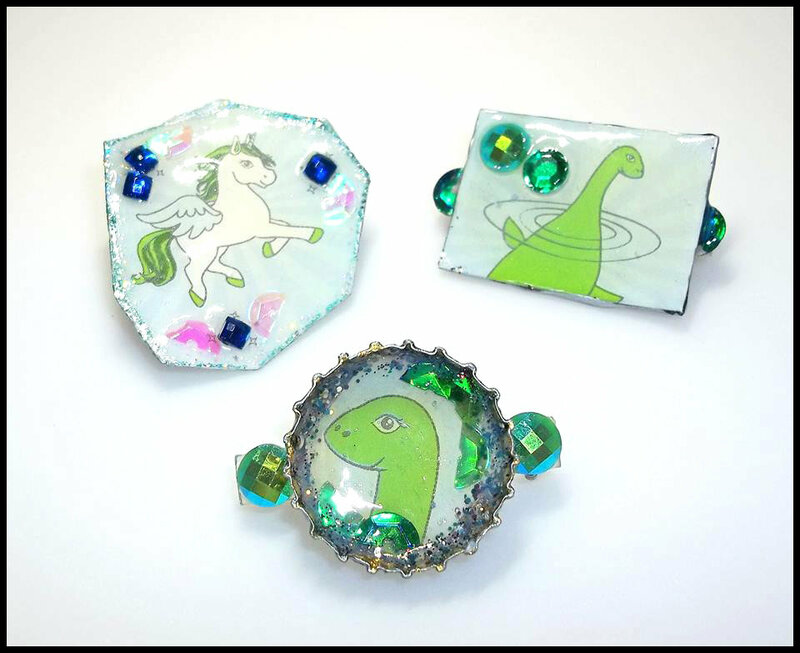 3 different repurposed pins featuring some of your favorite mythical creatures! • Pegasus Pin - A glossy pegasus pin with gems and sequins. • Nessie Brooch - A shiny pin with Nessie coming out of the water to say "Hello!" • Loch Ness Lapel Pin - A cute loch ness monster surrounded by glitter, gems and sequins.